I first came to this site way back in 2008. It was then I started playing with the idea that maybe i could quit. I lurked. I read……was not ready to submit. I did this for the next few years, coming and going. Not blogging….just watching and thinking maybe…Then came the yea 2012. I had been learning but not applying things . Not super serious about it. I wanted to quit, but no….I didn’t . I loved to smoke…or at least I thought I did. Yet…I began the quit that year. I used the meds, the gums, the patches …the fake cigarettes you buy at health food stores….I used everything BUT my brain I was looking for an easy way out due to my low pain tolerance. Eh…I know better now. It was not so much a low pain tolerance as it was I had allowed cigarets to ‘feel’ everything for me for so many years, I needed to learn how to feel again. Yet...seeds were planted, even though I didn't know it. No aide will do it for you. It may help the initial sting, but the craves and uncomfortable times will still come. None of the aides worked for me because I did not apply the areas of quitting to my quit. I have not opposed to people to use these methods to help them quit. The ones who were successful with them though, were the ones who actually APPLIED the knowledge and discipline along with these aides. Do not think using the aides will quit for you. Ask any of them who have had success using them. They still had to work. Still had to 'go through to get through'. Then there were some ‘issues’ on this site also happening during 2012 that were at a bad time for me. Now I have seen some fighting on this site, but this was very bad. And it went on to long. I don’t see any of those folks on this site anymore and I am thankful for that, but it was disturbing to my quit. i had finally started to reach out and ask for help. In early 2013 I also got some real tuff love here and took high offense to it. They hurt my feelings after all, my purdy lil feelings…how dare they tell me I needed to get serious about my quit and my many failed attempts. I was here wasn’t I? Grow up Missy. Well that was it….I was done with Ex. Done with all the nasty people fighting on Ex, done being told I needed to start learning the whys and hows and applying this to my quit. 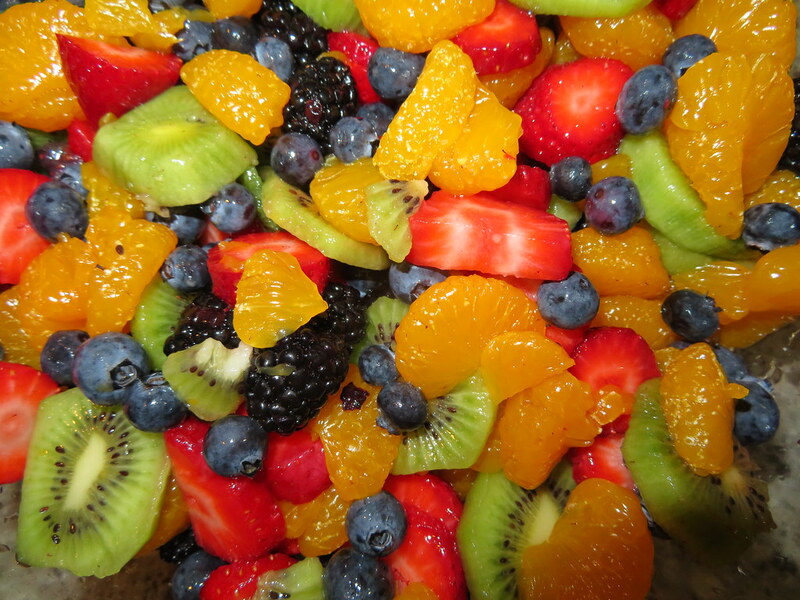 I was like a bowl of mixed fruit gone bad. I walked the walk but was not talking the talk…so I may have looked good but, there was bad fruit in my bowl, if you follow.. I decided , I just could not do this anymore. I left the site. I was still curious though. Still wanted to quit. Health issues began mounting in me, from smoking. It was time. I finally got serious and gave it to God. I told Him I would do whatever it took, just please take this addiction from me. I got Carrs book and read it till it fell apart. Over and over and over. I highlighted the crap out of it. I am not an uneducated woman. I retired from being a surgical Assistant, I worked with horses, trained and taught . I had my own mural business...but it took this long to get my '45$^%&$ together. Then it happened. When I gave up and reached my lowest point. I knew I could not do this alone, nor did I want to. The things I had been reading on EX. started to fall into place. I made lists and lists of lists, I prepared a toolbox. I stayed away from people-places-things that would tempt me. I failed again. I started up right away and quit again….this went on and on until September 2014. On the second day ( 4 years ago), well actually the first day of September but I always call the second full day my quit day….I quit cold turkey and have not had a puff since. It just clicked for me. I never forgot Ex and all that was taught to me but I still drug out Carrs book and used it…a lot. Then came the day I came back to EX. I had been ashamed to come back because I had failed so much before here. I didn’t want to come back until I had a quality number of days quit. But I came back. I wanted to help encourage others, like I was encouraged. I lurked again for awhile to make sure it was all peaceful here and then got active again..Here I am. Today I am 4 years free of the nicotine. For me Ex was a Godsend. The people here are a Godsend. MY ELDERS were a Godsend. I truly believe My God has me right where HE wants me now, We are all here for each other, fighting the same fight. Missy, thanks for sharing your journey. I think it's important for newer quitters to see that the elders have had the same struggles we're having. Congratulations again and thank you for the time and thoughts you share to help keep us motivated. Awesome quit by an awesome Lady!!!! and WE are happy for your company! Four years is lookin' GOOD on you! And now you're one of those whom someone will mention in their 4 year blog! Steadfastly offering encouragement and quit wisdom. Amazing that you were on this site before I got here. So glad you finally "got it" and came out of the shadows. You're such a glowing light here. And your fruit bowl is blemish free now. Thanks for your beautiful generous self. Happy 4th! Here's to many, many more! Here's a humongous caring hug from me to you dear Missy along with a stupendous ginormous super duper Congratulations on your splendiferous 4 precious Smokefree glorious years of Pure Freedom ,thank you for sharing this beautiful heartfelt post with all of us you totally rock my friend and Fellow Exer and most definetly EXtended family XO. Way to go, Mandolinrain!!! Happy 4. Thanks for sharing your success --experience, strength and hope, today and throughout the days. Congratulations dearest Missy...you are such a shining star. It is an HONOR to be on this journey with you! You are a gift to ALL of us who are lucky enough to have met you here...you are SO LOVED. Thank you everyone for your kind thoughtful words here and on Youngatheart.7.4.12 blog. I really do care and love you all. xoxo. It has been an amazing day! Congratulations Missy on 4 years of freedom and being a true shining star here. Big hugs to you. Congratulations on four years of freedom, Missy. You are such a beautiful spirit and a light to all who interact with you. Your contributions and support are greatly appreciated. Just look at all the well-earned love around you here, on Your Special Day! Enjoy this humbling milestone, then keep lighting the way for those following us here who also want that 4. And you are a Godsend for the site! What a powerful blog - just wonderful! When you mentioned highlighting the book - it remainder me of the time I spent in preparation - I took notes! I know that the prep work really helps! But, this site and the people here - people like you - are what really leads to successful quits! Thanks for sticking around! Way to go and congrats on 4 years Missy! Oh my gosh! I missed your big day! Congrats on 4 years! That’s awesome!! Muah! Apologies for missing your party Missy. Huge congratulations on your four years of smoke free living. I see many more celebrations in your future.